← ATTENTION Main Stream Media. Regarding Obamacare. I TOLD YOU SO! ‘Substandard plans’ Mr. President? Here is proof that you are lying once again. After President Obama was forced to finally admit that he was not telling the truth when he promised repeatedly “if you like your plan, you can keep your plan. No one will take it away from you, period.” The latest ‘spin’ from the president is “most people can keep their plans and those who lose them will be getting a better plan for a lower price to replace the substandard plan they have now” from the ‘old market‘. A market that HHS secretary Kathleen Sebelius referred to as ‘The Wild West‘. As if the current individual and family market is some wild unregulated market where consumers can be abused by unscrupulous carriers offering ‘skinny‘ or ‘shoddy‘ plans. Nothing could be further from the truth. The evidence below will prove that the president is lying to the American people once again. 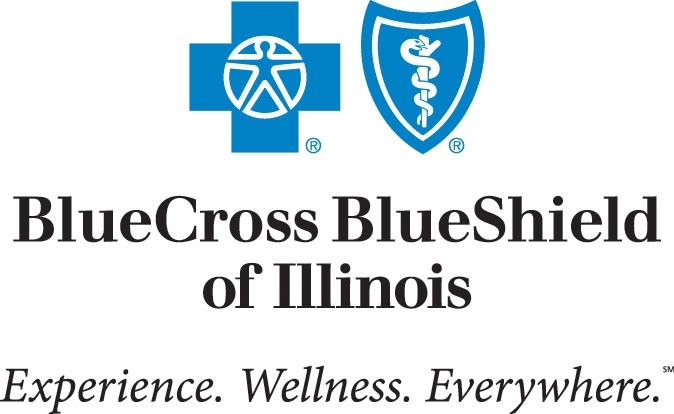 Below I will link actual policy termination letters from four of my existing clients who hold individual health insurance policies from Blue Cross Blue Shield of Illinois. The last names and policy numbers have been redacted in order to protect the privacy of these clients per 1996 HIPAA law. Click here to download Stephen’s Obamacare termination letter. Click here to download Robert’s Obamacare termination letter. Click here to download Kathleen’s Obamacare termination letter. Click here to download Michael’s Obamacare termination letter. When you review their current health insurance policy outlines of coverage. Tell me, do these plans look like ‘unregulated plans‘ from a market similar to the ‘Wild West‘? Are these ‘skinny’ plans or ‘substandard plans’? Please note that each of these policies offer 100% coverage for in network covered charges after an aggregate ‘common family’ deductible has been satisfied. The size of each of their family deductibles is listed in their current outlines of coverage, also included in each PDF document. Worse yet, these health plans that are being canceled now are NON “Grandfathered” plans. These are health plans that have nothing to do with the “Grandfathered clause” that the president says he included in Obamacare which would allow people to ‘keep their plans’ if they were purchased before Obamacare was passed on March 23, 2010. These plans were purchased after March 23, 2010. In other words, NON “Grandfathered” plans. These are plans that HHS required insurers to redesign as of 9/23/2010 and then sell to consumers under Obamacare. These plans already include 9 out of the 10 ‘Essential Health Benefits‘ including the policy design changes listed below that were mandated as of 9/23/10. This means they are NOT substandard plans and they are also not ‘grandfathered’ plans. If a policy makes available dependent coverage of children, the policy will make such coverage available for your children who have not attained age 26 regardless of the presence or absence of the child’s financial dependency, residency, student status, employment, or any combination of those factors. In addition, the policy will not deny or restrict coverage of such children based on eligibility for other coverage. Coverage under the policy, with respect to an individual, will be canceled retroactive to the effective date of coverage if the individual (or a person seeking coverage on behalf of the individual) performs an act, practice or omission that constitutes fraud, or makes an intentional misrepresentation of a material fact, as prohibited by the terms of coverage. At least 30 days advance written notice will be provided before any such cancellation. Benefits that are considered essential benefits (as that term is defined in the Affordable Care Act and applicable regulations) will not be subject to any lifetime limit on the dollar value of such benefits for any individual. A preexisting condition waiting period will not apply to enrollees who are under 19 years of age. Although under the Affordable Care Act a restricted annual limit on the dollar value of essential health benefits (as that term is defined in the Affordable Care Act and applicable regulations) may be applied prior to 2014, benefits under this policy that are considered essential health benefits will not be subject to any annual limit on the dollar value of such benefits for any individual. These are plans that were designed by HHS and HHS is now requiring insurers to cancel these plans in order to force these policyholders to pay higher premiums in order to subsidize the high cost of Obamacare. Besides all of these changes that HHS required insurers to redesign as of 9/23/2010, the following 65 ‘free’ preventative care tests & exams were also mandated under Obamacare to be added to all plans as of 9/23/10. The Blue PPO Bronze 005. Click here to view the outline of coverage. The Blue Bronze PPO 006. Click here to view the outline of coverage. The Blue Choice Silver PPO 003. Click here to view the outline of coverage. The Blue Choice Bronze PPO 005. Click here to view the outline of coverage. The Blue Choice Bronze PPO 006. Click here to view the outline of coverage. Lastly, regarding president Obama’s other statement that the ‘old market’ was a largely “unregulated market” where consumers could be taken advantage of by the ‘big insurance companies‘. Whilst there were a few bad players in the market before the PPACA was passed, the health insurance market was highly regulated. In fact, you can click here to see how Blue Cross’s HSA qualified plan (the same plan the aforementioned clients hold today) was designed long before the PPACA was signed into law. Tell me does that policy, designed in 2009 look like a ‘skinny’, ‘substandard’ plan? Once again, the president’s rhetoric does not match the facts. Then again, has it ever? PPACA was never designed to succeed it was designed to fail. The reason we as a nation are suffering under tyranny is because we rejected God a long time ago. Now judgement is upon us. The only hope is to accept God without reservation as he revealed himself to us in his written word and through his son Jesus Christ. People there is NO other way. Pingback: Champion News | ‘Substandard plans’ Mr. President? Here is proof that you are lying once again. Your best article yet! Expose the truth, hopefully it will set him going on his way. Thanks for your informative articles! I am one of those “uninsurables” who had a quality and reasonably priced insurance policy cancelled as of the end of the year due to Obamacare. I applied with United Healthcare because they are extending their policies through 2014, but was turned down. They said it was “automatic” due to a pre-existing condition for which I have had no claims in almost a decade and am unlikely to ever have any again per my doctors. Beyond paying a ridiculous sum for substandard Obamacare insurance, are there any other options out there for someone like me, even for another year? I would prefer and HDHP with HSA if possible. Thank you. Pingback: ATTENTION Main Stream Media. Regarding Obamacare. I TOLD YOU SO! Are you also aware that when you are under obamacare and go see the doctor, part of the information they will be getting from you are answers about if you have guns in your home, how many, etc. now these doctors you have to pay premiums to and deductible that most cannot afford to pay to access any real care (leaving it most those we’re paying for – uninsured to get all care they need, at expense of working class that can’t get care because of high deductible would have to first meet) – but for those that find a way, is it not a conflict that they’ll be getting all this subsidy money (beholden) from goverent that wants to take away guns. Can’t get to Doctor unless answer all these questions about guns. Doctor could easily code something (ex: they freq prescribe anti-depressant for migraines or neuropathic pain, the govt now has doc to help via IRS that seems to work for president, and whoever else will be “regulated” that doctor copy that paperwork to – now can seize your guns. How can that be constitutional Judge Roberts. How can you not protect the American people from being stole from, income we work for just being taken and put in some others hands in ways that certainly should never been allowed. This is every kind of wrong.